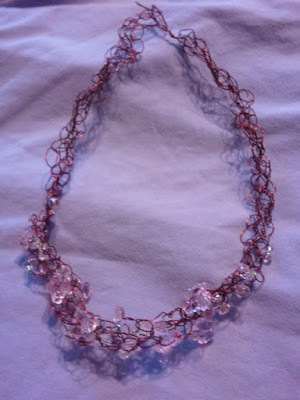 Prima: Crocheted Necklace and Mini Art Journal on Live with Prima! Check out this cool class Prima is having tonight. 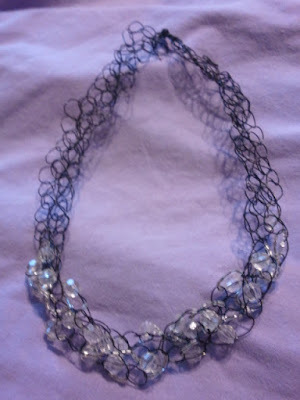 I so want to learn how to make this great necklace. Here are my versions of the necklace. I totally recommend a very think bendable wire. The red/pink one was really hard because the wire was too thick.